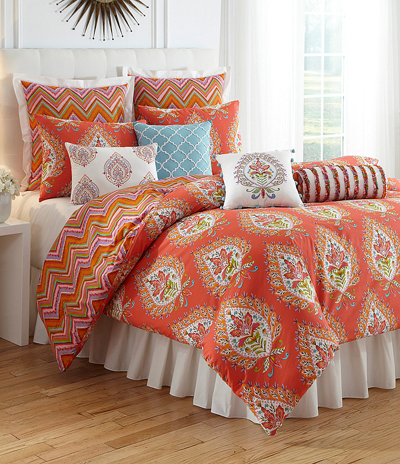 Brighten up your bedrooom with this Kalani Bedding Collection. From the Dena Home Kalani bedding collection, these comforter mini sets are of cotton with polyester fill. $99.99-$149.99. Buy here.